Wanna win some amazing ebooks? Enter to win 34 crime fiction novels, including books from authors like me, Adam Croft, Lisa Gardner, and Sandra Brown – along with FREE ebooks just for entering. This giveaway ends soon, so make sure you hurry! Good luck! ***FYI: For anyone in the Issaquah area today, from 10-3 I’ll be participating in King County’s Indie Author Day! Go here for more information. Have a fabulous October and an awesome Halloween! Hey there! HAPPY OCTOBER. Holy cow! How did THAT happen? It’s like I woke up and BAM–summer was over and it was fall. 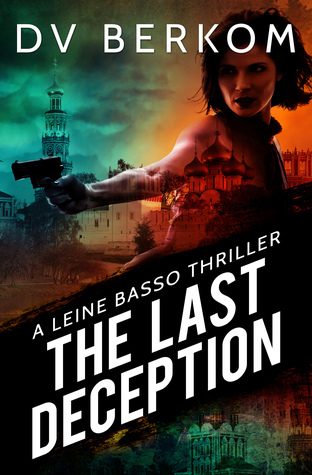 To make me feel better celebrate, I’m running a paperback AND ebook giveaway of The Last Deception. If you live in the US, click on over to Goodreads for a chance to win 1 of 2 signed copies. If you live outside the US, leave your email address in the comments below, or send an email to dvb (at) dvberkom (dot) com to be entered to win an eBook copy. Contests end October 7th. Winners will be contacted via email and announced October 10th here on the blog. Giveaway ends October 07, 2017. In other news, the Leine Basso Thriller Prequel, A Killing Truth, will be free on all platforms through October. AND Serial Date and Bad Traffick are both on sale for 30% off list price.